A very elegant wide brim shape with a shallow domed crown. 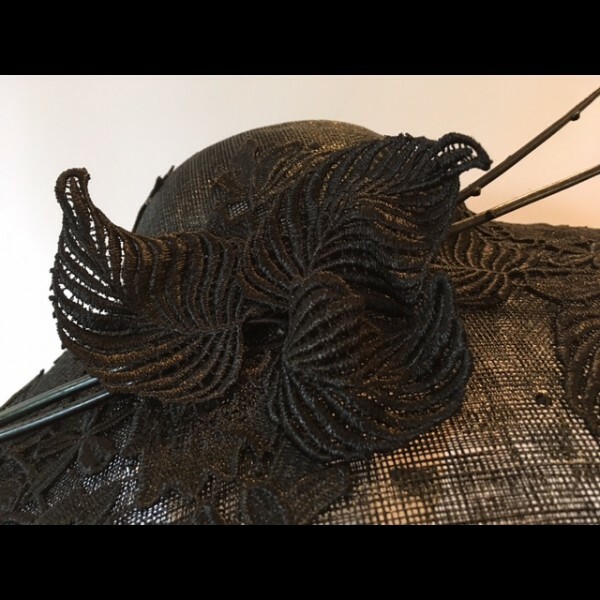 Mounted on a silk wrapped hairband with a comb for extra security. 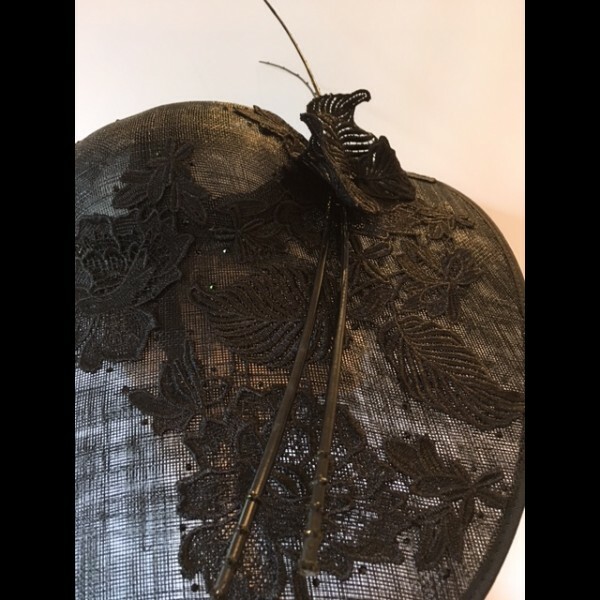 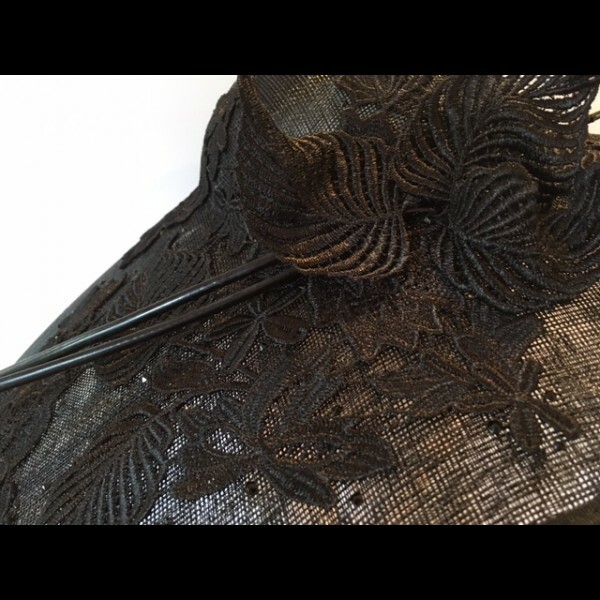 Extravagant guipure lace covers the upper side of this headpiece, finished with two elegant quills and lace leaves. 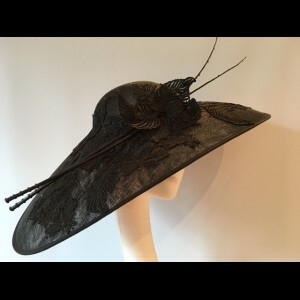 The price quoted is for the hire of the headpiece (GBP 60.00) - please see our Terms & Conditions.